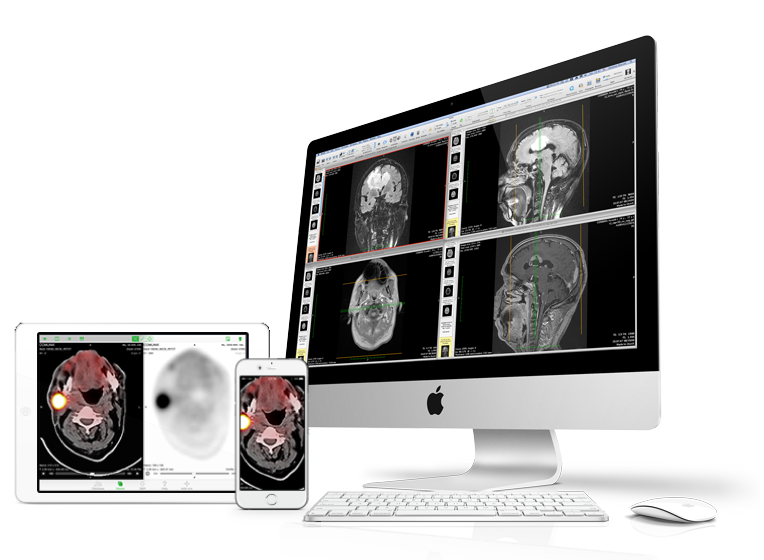 DICOM compliant software with advanced 2D and 3D image manipulation capabilities. Osirix is a great DICOM solution. Pros: Osirix is a very fast server and does excellent post-processing, like reslicing and color 3D rendering. Cons: This was originally a free shareware product, but the free version has been hobbled over the years and now one must buy the paid version to get server capability. Also, new versions are now longer free and you get bugged to buy upgrades way too often. But the old versions work fine, so you can ignore the messages if you are happy with what you have. Overall: Using this as a store and forward server and as a CD reader to import DICOM into my PACS. Pros: Good utility cost benefit. The image is not distorted, observing good quality, as seen in the imaging equipment. Cons: Limited compatibility with images obtained with Phillips equipment. The parameter that modifies opacity with the mouse is very sensitive. You have to improve the visibility of the play button on the main panel. Overall: Sometimes the viewers of some equipment are not recorded with the study. In these cases it is very useful.